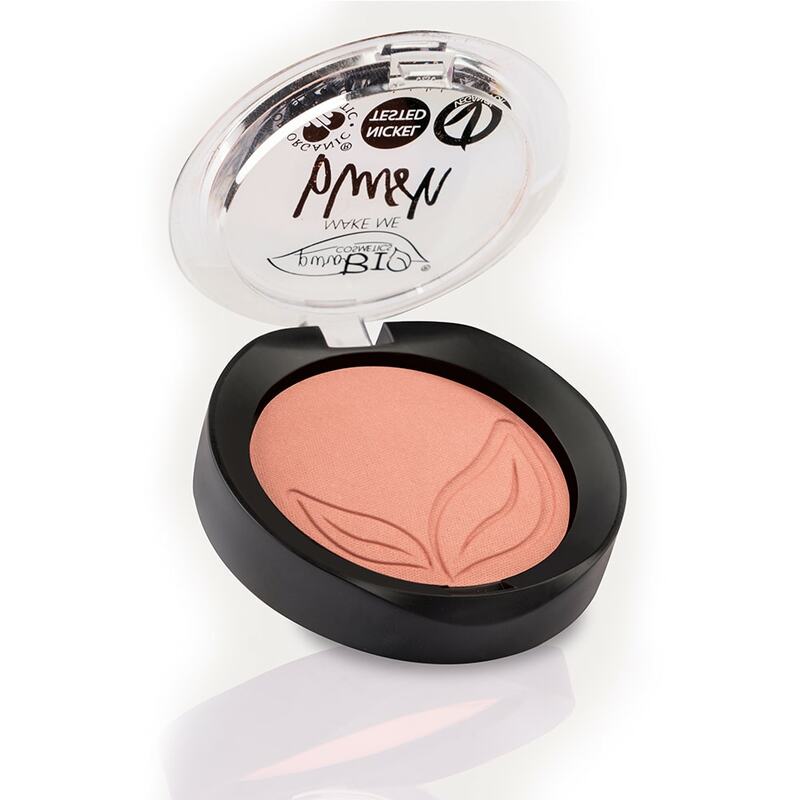 Ten multi-purpose natural and radiant colours for sculpting your cheekbones and giving your face a fresh, healthy look. 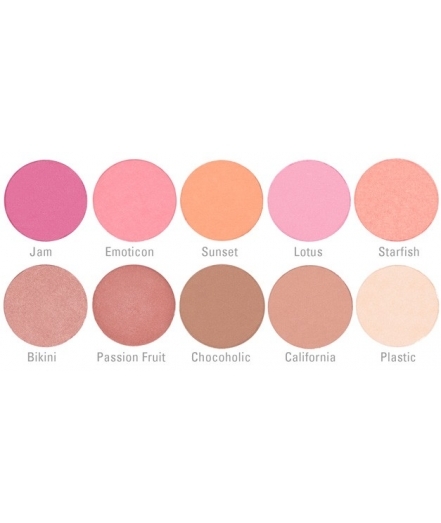 Ten multi-purpose pressed colours in naturally radiant shades. The entire needed to enhance the face in every occasion: an enlightening, two bronzers and seven multipurpose blushes different in color and finish. Shades created to define and bring out the best of your face, giving it a healthy, fresh look. The Blushissimi palette contains everything you need for your face to look its best on every occasion: an illuminator, two bronzers, and seven multi-purpose blushes in different colours and finishes. 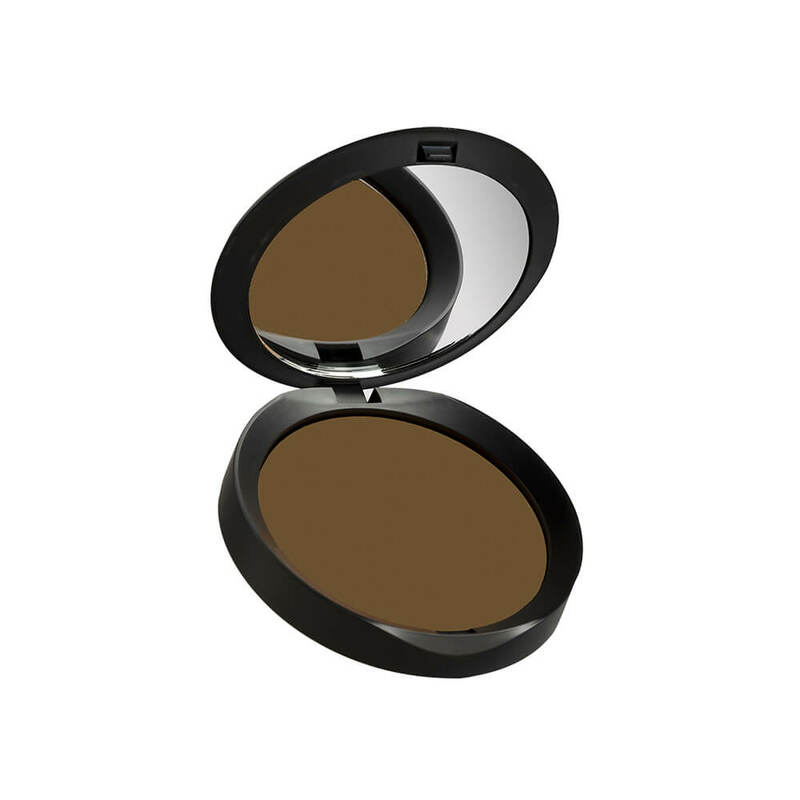 The velvety texture makes these eyeshadows very easy to blend, while the wet&dry formula makes them extremely versatile. 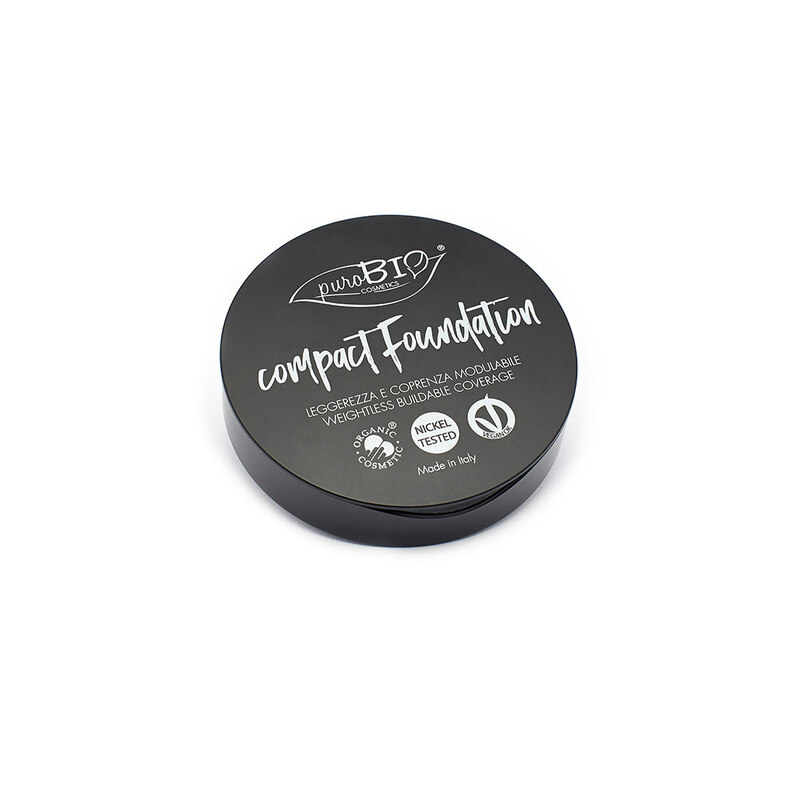 They are also enriched with vitamins (absolutely free from petrolatum, parabens and silicones!) to ensure long wear and comfort. Ten pans with a diameter of 3.6cm contained in a compact intense violet 10 x 23cm palette. The base of the palette is magnetic: the individual shades can be easily removed and repositioned. Fuchsia: Jam Intense raspberry with a satin sheen. Emoticon: Matte warm pink. Lipsafe. Sunset: matte bright orangey peach. Lipsafe. Lotus: matte pale flamingo pink. Starfish: intense golden coral pink. Bikini: luminous pinky bronze. Lipsafe. 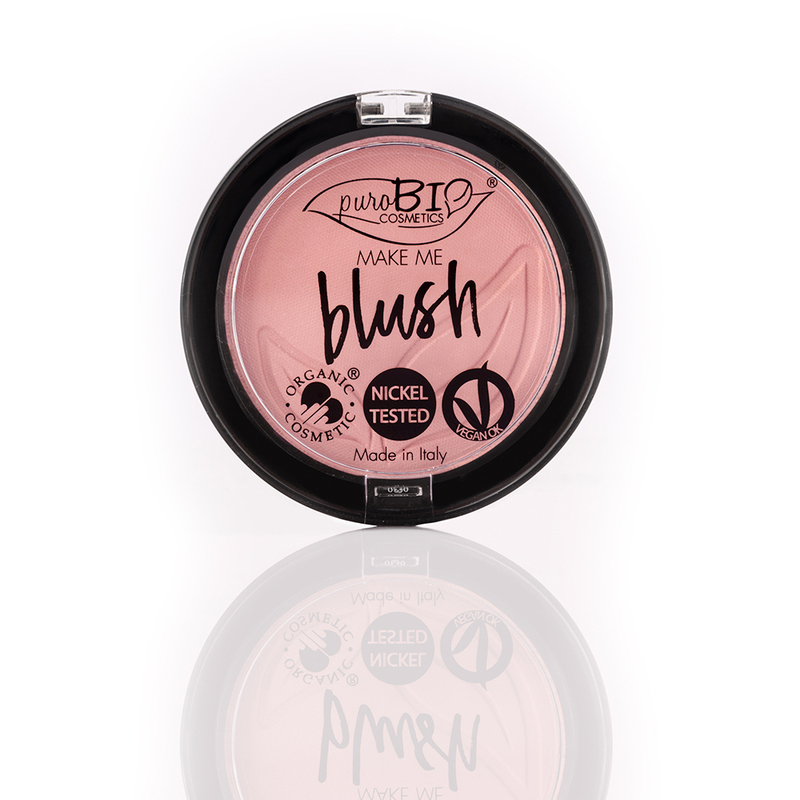 Passion: Fruit beigy pink with mauve undertones and a satin sheen. Lipsafe. 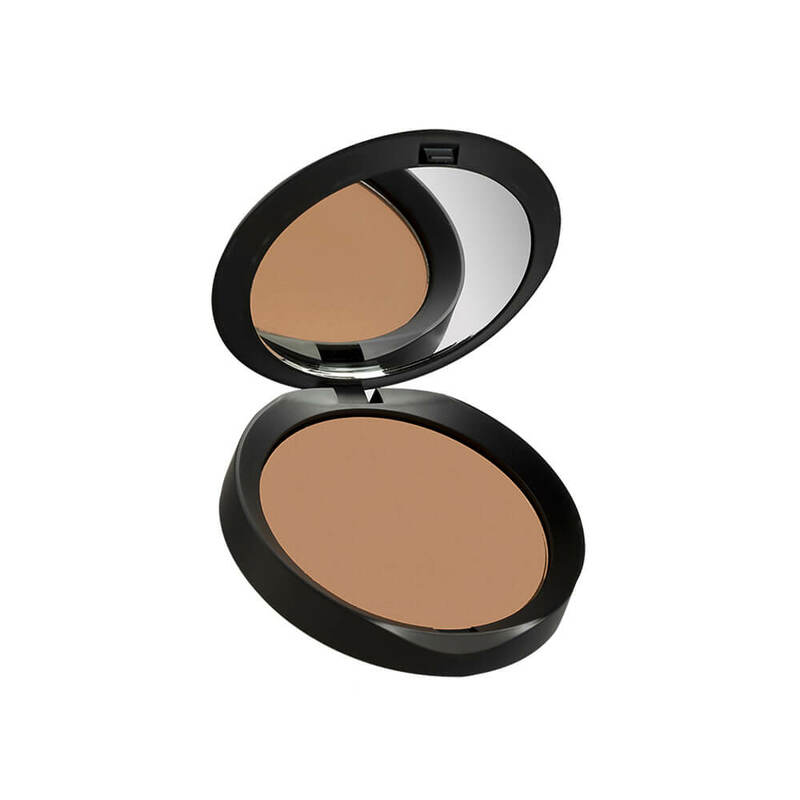 Chocoholic: matte brown bronzer. Lipsafe. California: biscuity pink bronzer with a velvety finish. Lipsafe. Plastic: cream-coloured illuminating powder with a satin sheen. Lipsafe.